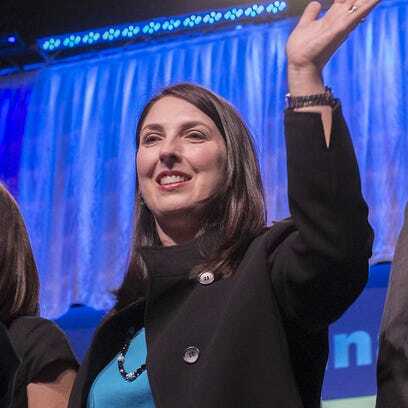 The Republican National Committee on Thursday elected Ronna Romney McDaniel its new chairwoman. McDaniel, who served as chairwoman of the Michigan Republican Party, was President-elect Trump's choice to lead the RNC heading into the 2018 midterm elections. She succeeds Reince Priebus, who will become Trump's White House chief of staff. "I am a mom from Michigan. I am an outsider. And I am here to make Donald Trump and Republicans everywhere successful," McDaniel said in a speech to RNC members in Washington, on the eve of Trump's inauguration as the 45th president.